Centrebet, which is the first ever licensed bookmaker in Australia, has been in the gaming industry since 1992. This company has been also considered as the first bookmaker in Southern Hemisphere to showcase online betting. Being in this field for a long run has given this company a good reputation to uphold. Currently, this site is being owned by the William Hill, which is a prominent bookmaker in Britain. The Centrebet branch in United Kingdom is licensed under the jurisdiction of Malta. This branch offers the casino games on top of the sports and racing betting fields. Since the government of Australia prohibits these gambling games, the Australian branch of this site solely offers sports wagering. In June 2012, the company has decided to redesign the overall look of its website. The sleek design of the present website is very impressive. Players really commend how the contents of the site are properly organized, making it easier for them to place their bets. Other than being a betting site, the company also offers different casino games powered by Playtech Software. Using the downloadable software installer, you can get access to more than 100 available games. Meanwhile, the instant play version in the web browser gives you an access to 50 games. It is recommended to download the software for a full blown experience in this gaming site. 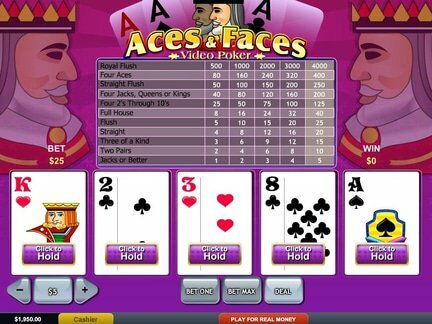 The selection of games covers all the major categories, including arcades, cards, poker room, progressive games, slots, sports book, table games, and video poker. In terms of sports betting, the site allows you to wager on the following sports: Boxing, Cycling, Football, Golf, Handball, Horse racing, Rugby, and Soccer. Famous American sports like MLB, NBA, NCAA, NFL, and NHL tournaments are also covered within the site. Mobile app is also available for the players who are always on the go. Enjoy the Centrebet games wherever you are by simply downloading the mobile version. Players are also allowed to wager, deposit, and withdraw using their supported mobile devices. First deposits made by the new players are matched with 100% bonus up to $ 250. This attracts the new players to bet more with their increased free credits. The Centrebet bonus is so generous in welcoming its gamers. Loyal players, on the other side, are also being rewarded. Centrebet's patriots can be a member of the loyalty program that allows you to gather points. These points are so useful because you can use it in betting for the games. Another usage of this loyalty point is that you can exchange it for real money. Thus, to gain more points, players are advised to wager harder. The website can be configured to use different languages such as Danish, English, Finnish, French, German, Greek, Italian, Norwegian, Polish, Spanish, and Swedish. Unfortunately, this betting site is restricted in the following countries: Belgium, China, France, French Overseas Territories, Greece, Hong Kong, India, Indonesia, Israel, Italy, Macau, Netherlands, Norway, Pakistan, Philippines, Saudi Arabia, Singapore, Thailand, Turkey, United Arab Emirates, and United States of America. This wide range of restricted jurisdiction is a downfall for the company. There are a lot of currencies accepted in this site. The currencies include Australian Dollars, British Pounds, Canadian Dollars, Euros, New Zealand Dollars, Polish Zloty, and US Dollars. To make deposit payments, transactions can be made through bank transfer, BPay, MasterCard, MasterPass, PayPal, Poli, Skrill Moneybookers, and Visa. To cash out your winnings, withdrawal options include bank transfer, BPay, PayPal, and Skrill Moneybookers. Withdrawal process can take up to one to five days depending on the method used. There are no required transaction fees in processing your regular deposits and withdrawals. However, if there is a necessary authorization of deposit, the company may charge 1% administration fee. Note that there are specified limits for different withdrawals. The maximum payout for any winning wager made through the telephone is $ 500,000. For the winning wager via Internet, the maximum payout is $ 50,000. Horse racing has a maximum payout of $20, 000 while Greyhound and Harness racing has a largest payout of $10,000. Issues and concerns regarding the company can be forwarded to its customer support. A customer service representative is reachable through live chat, email address, and toll-free phone numbers. Some of the complaints against the company include the large number of restricted jurisdictions and failure to provide Asian handicap betting. Other than these, most of the comments regarding the site are positive. Generally, players are satisfied with their experience in this site, thus, the company still deserves a perfect 5 out of 5.